The bilingual department of Institut Sankt Joseph is a part of an old catholic school with a fine reputation and I can confirm that it is an excellent school with room for many kinds of leaners, particularly the ones interested in academics. The special needs department takes care of the students with all kinds of challenges. “This year, I paid a visit to Institut Sankt Joseph on Wednesday the 31st of October and on Thursday the 15th of November. During the visits, I observed the teaching of the 2nd, 3rd and 9th grade students. 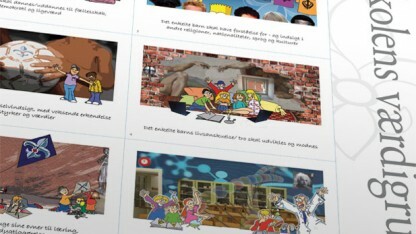 The younger students had Danish, Religion, Art, Mathematics and English. The older students had Social Studies and Danish on those respective days. 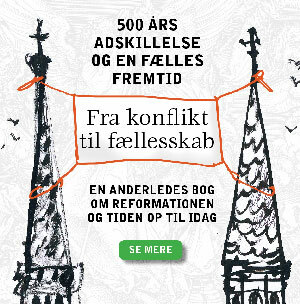 Based on this visit, as well as visits conducted in previous years, it is my clear assessment that the students’ academic level in all of the subjects measures up to the proposed standard in the Danish primary and lower secondary schools (“folkeskole”). This was also illustrated by the school’s results from the final exams. The teaching materials used, the teachers’ approach to the students, as well as the students’ interest in learning, support my impression that it is a school with a good academic standard and good relations between adults and children –overall a very good learning environment. The inspection report is designed to give an account of the students’ academic level; in particular, Danish, Mathematics and English. My visits to the 2nd grade class, with regards to the subject of Math, indicated that the students had a well-developed understanding of Mathematics, and the books were supplemented by a measurement of circumference, etc. in the schoolyard. The visual aids used were modern and the teaching was up to date in every aspect. 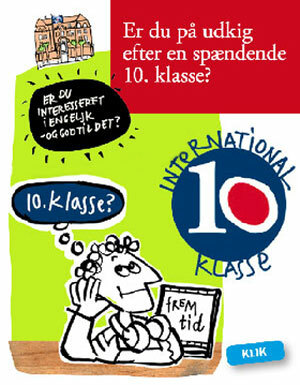 English is a subject in which, Institut Sankt Joseph has a very high standard. The international environment that characterizes the school is also evident in the classroom. The children are very skilled and several of them speak English, as if it were their native language. English classes are mainly conducted in English and are taught by teachers who are very academically and didactically skilled. The English material is also current. 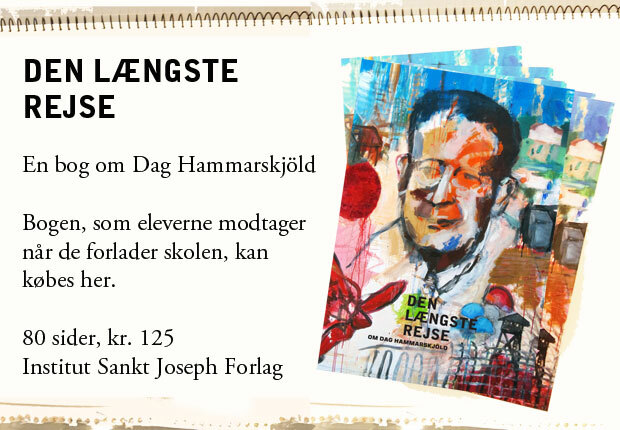 During my visit, the teaching of Danish focused on a difficult poem from 1871 by Holger Drachmann. The students worked in pairs and presented the text in a very mature, well articulated and precise way. The teacher controlled the exercise in a very firm and balanced way. 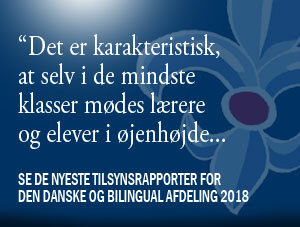 It is my overall assessment that the teaching at the school, as a whole, more than measures up to what is normally the required standard for the Danish primary and lower secondary schools (“folkeskole”). The willingness to learn is evident with both the older and younger students, the classrooms are equipped with new technology and the tone among employees and the children is positive. My impression of the teachers is that they are dedicated, well prepared and academically skilled. 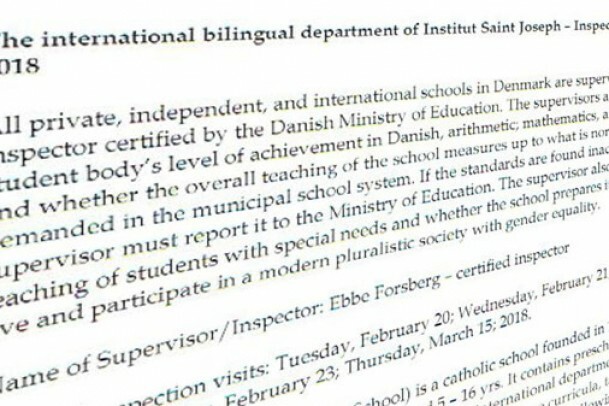 Danish as a second language (DSA) is an important subject at Institut Sankt Joseph, due to the fact that lots of the children come from different countries, and during my first visit, I had the opportunity to follow the work that is being done within this field. This too seemed well organized and sensible. As an inspector, it is my job to pay attention to whether or not the school meets the requirements for preparing the students for a society based upon freedom and democracy, and if the school strengthens and develops students’ knowledge of basic freedoms and human rights. In my experience, the school’s spirit is very much based upon these values that emphasize the development and preparation for the children to become members of such a society. First and foremost, the inspectionreport has to evaluate the teaching at the school. The teaching is, in fact, essential at Sankt Joseph, with the firm knowledge that a school can provide an environment that makes it better or worse –can create a teaching environment that is better or worse for the children. It is now my third year as an inspector at Institut Sankt Joseph, and every year new initiatives have been implemented that add to the development and improvement of the teaching environment. For example, a newly decorated teachers’ room/staff room has been established, which is not only good for the employees, but also has a direct exit to a terrace that overlooks the schoolyard. The schoolyard, by the way, has also been upgraded into a better playground for the students. The classrooms of the older students have become brighter, transparent and well equipped. These, and many more new physical changes play an important role with regards to the school’s progress.